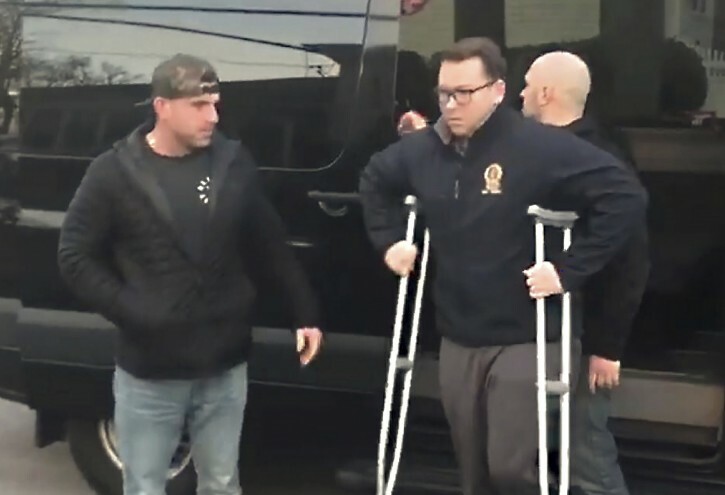 New York - The police officer who was wounded in a shooting that led to the friendly fire death of a New York Police Department detective has returned to his Long Island home. Sgt. Matthew Gorman emerged from a black van outside his home in Seaford Thursday afternoon. He used crutches and was accompanied by several unidentified people. Gorman was struck in the leg as he and six other officers fired 42 shots at a robbery suspect brandishing a fake handgun at a cellphone store in Queens Tuesday night. His partner, Det. Brian Simonsen, was shot in the chest and died. The suspect, who was also wounded, has been charged with murder. This is the SIXTH article, which has been published by Vin, about this incident; enough already!